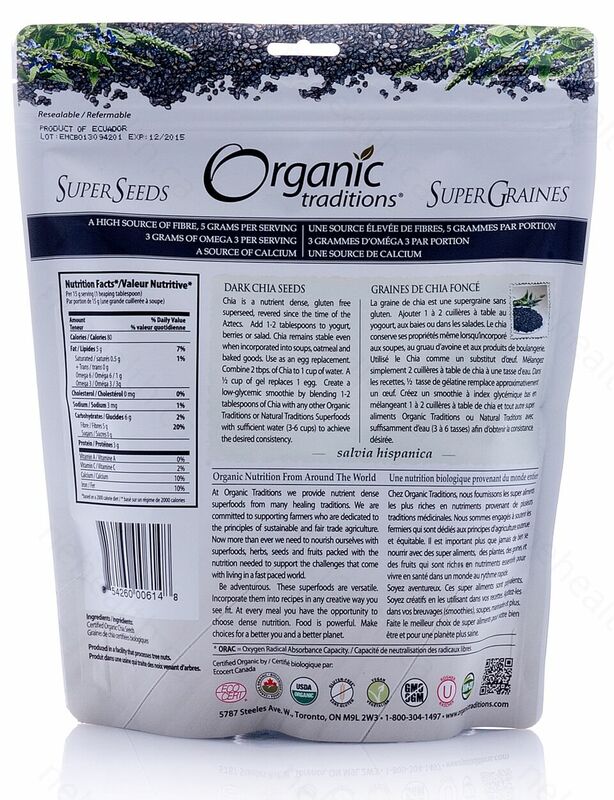 Chia Seed is a gluten free superseed that is rich in calcium, iron, protein, vitamins, minerals, fibre and omega 3 fatty acids. It also contains antioxidants with an ORAC value of 1200 per serving. It can be used in the same way you would use flax seed. 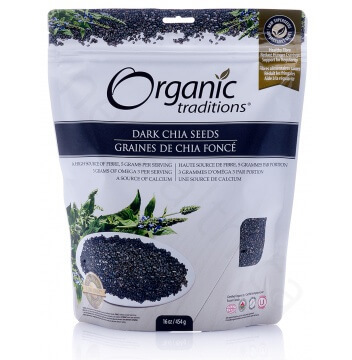 Simply add the chia seeds into your favourite smoothies, yogurt, salads, berries, or dressing. 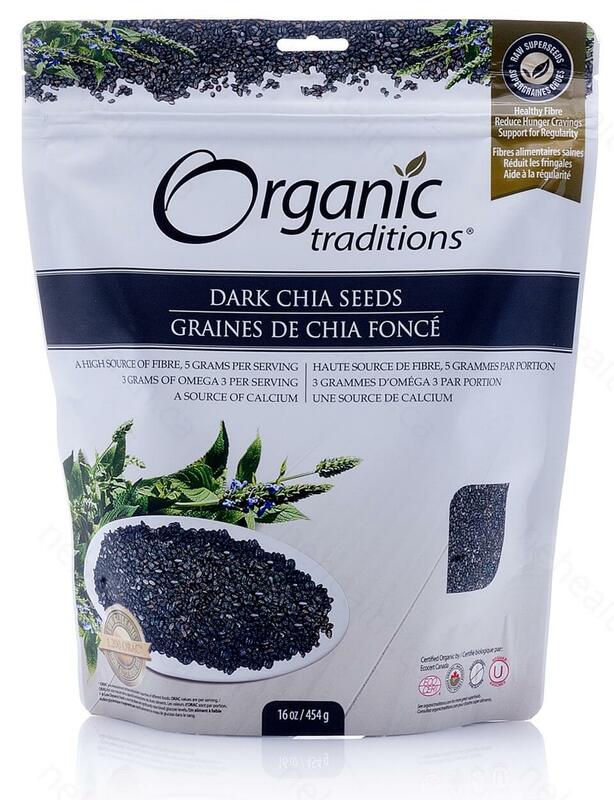 Organic Traditions Chia Seeds are a great way to enhance your daily diet with an added boost of nutrients. When taking Organic Traditions Chia Seeds, make sure you drink enough water to achieve the desired consistency. Take 1–2 tablespoons daily. Chia seeds may be consumed raw, sprouted, ground, cooked, or as a gel. Use creatively in smoothies, salads, soups, or when baking (e.g., in toppings, fillings, or crusts).